Why Plastex barefoot & wetside matting? Keeping fit may be unhealthy/risky underfoot. The combination of bare feet and water provides potentially high risk areas for slips. The humid environment with direct skin contact means that continuous hygiene is crucial. Our barefoot & wetside matting products are specifically designed to: • Reduce slip and fall accidents • Avoid risks of fungal infections • Provide underfoot comfort Plastex barefoot & wetside matting features a non-porous construction, excellent drainage, high slip resistance and permanent anti-microbial and anti-fungal options. 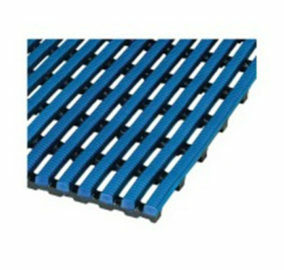 Supplied in either loose laid rolls or interlocking tiles. Rolls are 10m long and flexible in construction, allowing ease of installation, one piece large covering and cutting on site.